I have what sometimes feels like 87,000 photographs in albums stacked in my basement. They fill dozens of albums, and cover the interesting, mundane, special, outrageous, and sacred moments of my life. They stop, abruptly, in 2002. They have been replaced by, as you might have guessed, digital files. Files and files and files of pictures, the sum of which is likely closing in on 87 million. Please tell me I'm not the only one. I struggled mightily with what to do with all these old albums. My digital storage is well maintained and heavily backed up - no house fire or earthquake is going to destroy my pictorial life since 2002. How could I possibly guarantee the same for all those albums in the basement? After a little bit of research and a little bit of luck, I've been able to catalog about 70% of my family's photos digitally. I'll walk you through how I did it. Let's start our walk through the first project I undertook with my sisters to start saving some of our old photographs. My younger sister snuck into our parent's home and borrowed all their crates full of old pictures. Scattered around my family room we three sisters sat, filtering out the pictures of most and least importance. 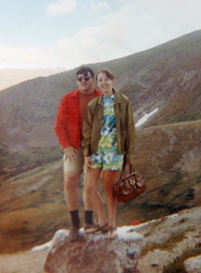 We whittled 5 crates and 50 years of pictures down to about 700 pictures that most accurately captured the important moments in our parents lives. That stack of 700 pictures then sat there, fading away, losing more quality and texture, for two more weeks, until I mustered the courage to conquer it. I toyed with the idea of scanning each photo, and even messed around with our scanner for a few attempts, but found the quality and size of photo unacceptable for any really serious attempt at archiving. There are scanners available that produce high picture quality, but the real issue with scanners is their propensity for dust. 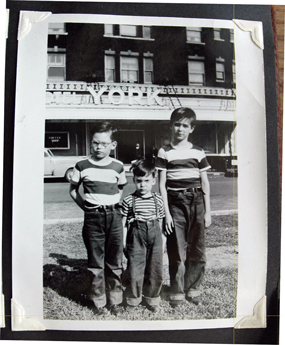 Professional photo restoration companies will keep their digital scanners in professionally maintained dust-free rooms. 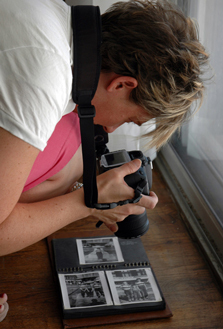 Scanning your photos will guarantee that dust will need to be removed from the photo image after you have captured it. Depending on the quality of your camera, the quality of your scanner, and the free time you've got on your hands (taking photos of your photos is much faster), you can make that choice yourself. If you are in the market for a scanner, or have the spare change to spend, make sure you buy a scanner with at least a 36-bit color depth, and the highest resolution you can possibly afford. Any resolution under 1200 dpi will result in diminished picture quality if you intend to reprint your picture at some point (1200 dpi is sold for between $150-$250 at many office supply stores). If you are certain you will never want a scanned picture to be any larger than it was when originally scanned, you can get away with a 600 dpi. These scanners can be found for under $100. If you do decide to use a scanner, you won't have to worry about lighting or distortion, which we will talk about later, however, remember that when using a scanner, you will always diminish the quality of the portrait by introducing dust particles onto it. That can create more work in a photo editing software to restore the image. There are several important things to remember before using your camera to capture an old photo digitally. 1. Camera type. You can archive photos with almost any digital camera. There are only a few critical recommendations. If your camera has a standard zoom and a digital zoom, it will be important to understand the difference. You can use a standard, or optical, zoom to capture your images, but should not use a digital zoom. A digital zoom will digitally alter the image to achieve an artificially closer image. This will result in substandard image quality. 3. Level planes. (No, not aircraft). It's important to keep your image and your camera on the same geometric plane. If the camera (or the image) is tilted or skewed from the other, the image will be distorted, as one part of the image is closer to the camera than the rest. 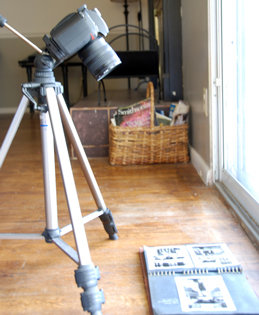 (see examples below) You don't need a tripod to do this, but it would certainly be made easier with one. I'll show you how to do both. Set up your work place. You'll want a flat surface to lay each photo. I would suggest laying a white piece of paper down that will act as your work surface. 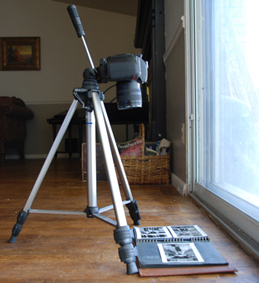 Without a tripod, using the floor could be ideal. Your camera will need to be placed higher than the photo, hovering over it at the same geometric plane as the photo. This simply means that the camera has to be exactly perpendicular to the photo as it lays on the work surface. Do not get too close to the photo, or you will get some distortion (see distortion picture above). Not using a tripod, the safest thing to do (not threatening the safety of your camera) is to handhold the camera. A second option would be to adhere your image to a surface that is vertical, and line your camera up accordingly. Using the same instructions as without a tripod, setup your work surface. Place the tripod over the work surface with the lens pointed directly down at the work surface, being sure to level out the camera to be perpendicular with that surface. Don't worry if you're not perfect! Obviously, the closer you get the better, but being close will usually suffice for the purposes of archiving and restoring. Take a couple of practice shots to get a feel for where the picture needs to be placed, how close the camera needs to be, how the light is affecting the look and colors in the picture, etc. Again, don't place the camera too close to the picture (no closer than twelve inches), to avoid distortion. Find your perfect spot, with the best light, and set up the shot again. If convenient, use a pencil or light pen to mark on your work surface where the picture borders are. This will make later pictures much easier and faster to work through. Once you are comfortable with the quality of light and your work surface is well set up, get to work! With an extra set of hands, you and a partner can whisk through pictures quickly, just as my sister and I did. We photographed our 700 family memories in a couple of hours. Well, you've gotten all those old photographs converted to a digital format. Congratulations! (see, I told you that you could do it!) Now we've go to get them into a usable condition. Using whatever means your camera has established, get your pictures onto your computer. Placing them all in one folder will obviously help you manage this project. We'll be making separate folders for pictures as we work on them. If you don't have any photo software on your computer, there are a few programs you can download or purchase that will meet most of your basic needs. Picasa, a photo program by Google (available at picasa.google.com), is free to download,and can be used to fix red eye, crop and straighten, correct some color problems, and work out basic contrast issues. Adobe Photoshop is a highly technical and powerful program that can solve serious technical problems, but costs over $600, and takes a fair amount of training to use.Adobe also makes a less expensive version, called Photoshop Elements, which retails for around $70, and is far more user friendly. It is more powerful than any free software you might find, but comes equipped with basic troubleshooting pre-sets, and is a good first step into more serious restoration. Your computer may also come installed with some version of photo editing software, so check with your software manuals. Within a typical photo editing software program, you can open the pictures, straighten up the image, and crop away any excess clippings from the copied photo. If necessary, you can fiddle with contrast and color settings to try and restore an older, faded picture to a more vibrant and bright one, but beware of making the picture look too stylized and unrealistic (see examples below). After each photo is cropped and cleaned up, save it as a new file, usually as a jpeg file. For filing ease, name each file as a date and name, with the year first, followed by numeric month and date, and ending with a short title. This will chronologically list all your files in your finder window. If you create a second folder inside the first, you can keep track of the photos you have finished, as well as those yet to edit. This also makes it easier to toggle between the finished and unfinished images. I suggest maintaining the original state of the first file as a back-up. If, during the process of editing, mistakes are made, or the picture doesn't turn out as you expected, you can always return to the original file to start over. Or, if you ultimately need to hire a professional to manage the picture, you still have the digital file of the original. If you are in need of more serious or technical photo-restoration, there are several internet websites, as well as local businesses in most metro areas that cater to this market. Starting with a digital image already in hand may reduce your costs, in some situations. 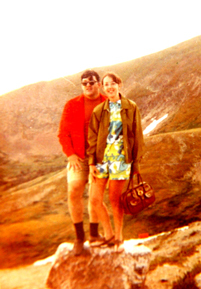 Some online photo-restoration sites, such as ScanCafe who offer a variety of services, starting around $40 and increasing into the hundreds. ScanCafe will scan and repair your old slides, negatives and photos, by hand-creating a perfect "digital negative" that never fades. They can do projects that restore color, recreate missing parts from water or light damaged photos, and restore data lost in fold marks and rips. Check local yellow pages for other options. Although sometimes pricey, these can be a valuable tool. Once you have your digital pictures in the restored and pristine shape you'd like them, it's time to decide what on earth to do with them! Here is where choices open up widely, and the creativity you've been bottling inside gets to brim over. Purchasing an external hard drive to serve as a back-up space for digital images is a smart move. External hard drives range in size (and price, obviously) from around a 160 GB drive for under $100, to a 1 TB drive for around $500. These prices change all the time,though, so check with a local retailer. These drives can fill up fast if you take pictures prolifically, but if you are interested in long term storage for judiciously chosen pictures, a smaller drive might do just fine. This device could be easily grabbed in an emergency, with your data secure, or transferred to another computer or another location. Another option would be to store your data "off-site".A quick Google search for "data storage" will yield dozens of companies that will store your images at their facilities. A really reliable one that has been around for over 10 years is at MyTrees.com. Register and account with them and backup your photos and family history for free. This would remove any worry about losing your data to a natural disaster or faulty computer, as most of these companies use multiple back-up methods to ensure their customers' data safety. Burning your picture files to CD's or DVD's can be an easy and inexpensive way to manually back up your files. You will only need a CD or DVD burner on your computer. Read your computer owners manual for more instructions. DVD's are rated to last, data intact, for 100 years, however, most storage facilities that use DVD's have a policy to change out DVD's at 50 years. Keeping prints of pictures is a fun and easy way to archive, but photos, no matter how new, will still be subject to aging and fading. Keep prints only for personal use, and not as your sole archival means. Remember, no matter what method you choose, make sure that you choose more than one. Storing your data in at least two locations will help ensure its safety. Albums After my sisters and I got our 700 pictures into top notch shape, we downloaded software at Blurb and created a beautiful, full color, full-bleed 350 page book of all the pictures, as well as copies of important documents and stories from their lives. It was given as a family present to them on their anniversary. The download was a user friendly, easily understood program that helped me design and create the book. Once the book was completed, the finished file was uploaded to Blurb's website, where they - in only two weeks - printed and published our book. 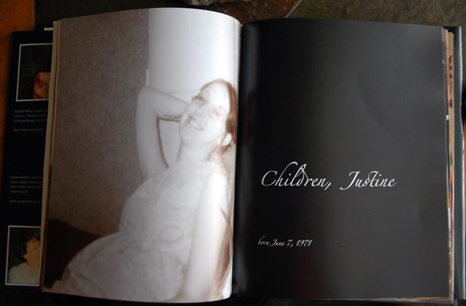 Prices at Blurb start at only $12 for a 40 page softcover book. At the other end of the spectrum, a 440 page hard cover book will set you back $65. PicaBoo.com , Snapfish Photobooks , and Kodak Photo Book - 5X7 Family Memories are other great alternatives to look into for photo albums, with alternative options and pricing. The uploaded files will usually stay active at the website for a year or so, offering you the opportunity to buy extra books at a later time. Additionally, you still retain the original file of the book, and can upload it again if you need to purchase extra copies after the first year mark. Updating and archiving old photos can certainly seem like a daunting task, but your photos aren't going anywhere - yet. Start, and you'll see just how easy it is. There's no need to remind you how important it is to do something now to preserve your family's history. You'll be surprised how fast you can get through your own 87 million family photos. Let us know how it goes!